3 years & up. 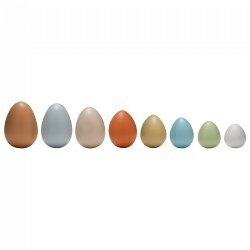 These highly appealing and tactile eggs will help develop children's comparison and sorting skills. Stimulate both language development and mathematical skills as children sort the eggs by size and weight. 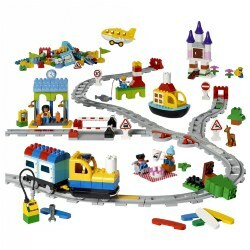 Perfect for indoor or outdoor exploration. Contains eight eggs measuring between 1 1/2" to 3"H.
4 years & up. 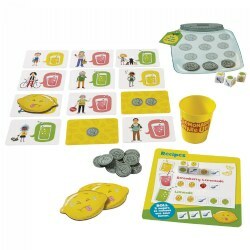 Work as a team to make and serve enough cups of lemonade to fill your money jar. Shake up the dice and roll for the match. A match adds money to your jar and a miss adds a sour lemon. Cooperate to win! 3 years & up. 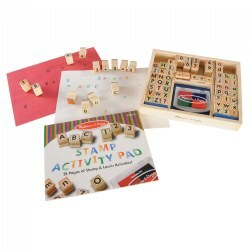 The Tactile Counting Stones display number arrays from 1 to 10. These stones are a great resource to introduce and support math concepts including counting, number recognition, subitizing, and number bonds. Ideal for sensory math investigations. 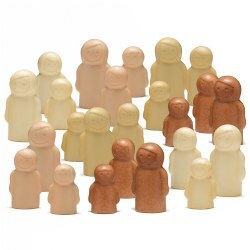 Made from a unique stone mix and durable for use in sand, water, and outside. Stones measure 3". 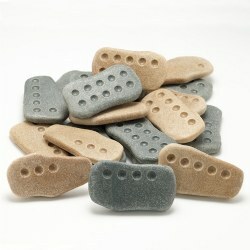 Included: 20 Tactile Counting Stones (two sets of 1 - 10). 3 years & up. 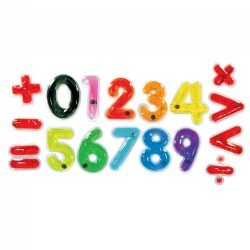 Bring fun to numeracy with brightly colored and transparent numbers and math signs, perfect for using on light tables. Sizes vary, largest is 3" and smallest is 2 1/2". The numbers contain a magnetic disc students can manipulate around the number with their fingers or magnetic wand. 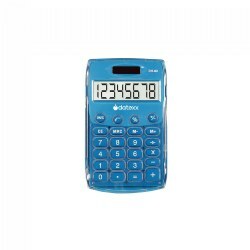 Includes 30 numbers and 14 math signs. 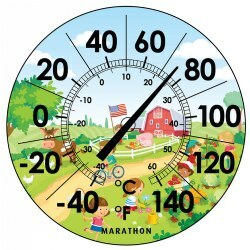 This 12-inch indoor outdoor thermometer features a simplistic barn scene print with extra bold digits making it easy to read from a distance. It is simple to operate, weather-resistant, and mercury free. This product can be wall mounted inside or outdoors offering temperature ranges from -40 degrees to 40 degrees F (60 degrees C to 140 degrees F) allowing you to use this thermometer in the majority of weather conditions.